Opi’a Taino International, a St. Thomas group promoting the interests of indigenous people, hosted the “Fifth Annual Pow-Wow: International Day of the World’s Indigenous People” Wednesday afternoon at their headquarters in Frydenhoj. Participants were encouraged to bring a tree to plant or their favorite dish to the event, which was held outdoors amidst a traditional hut decorated with memorabilia, pictures, and educational material. “It is important that we teach the community about the indigenous people that were here long before Columbus landed,” Maekiaphan Phillips, president of Opi’a Taino International, Inc., said in a statement from Senate President’ Myron Jackson’s office about the commemoration. At a Senate hearing in 2016, Phillips said her great-grandmother is from Vieques, which is where her Taino roots come from. A pirate named James Abbott stole or kidnapped her great-grandmother at the age of 14 and took her to the British Virgin Islands, where her great-grandmother had children with an African father, according to Phillips. Jackson expressed solidarity with the group and indigenous peoples and encouraged the public to recognize this heritage coursing through the territory’s bloodlines. Aug. 9 was established by the United Nations as “International Day of the World’s Indigenous People,” with the goal of strengthening international cooperation for solving problems faced by indigenous peoples in areas such as human rights, the environment, development, education, health, economic and social development. This is the 10th Anniversary of the U.N. Declaration on the Rights of Indigenous Peoples, which was adopted in 2007 by the United Nations General Assembly and considered to be the most comprehensive international instrument on the rights of indigenous peoples, according to Jackson’s office. 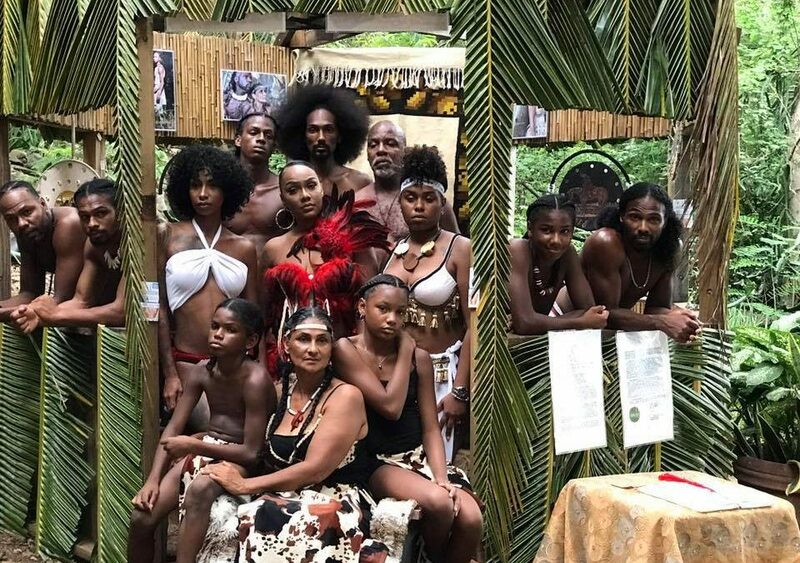 Jackson said he has legislation in progress which seeks to recognize and preserve the existence, patrimony, sacred places and rights of the Taino, Carib, Kalinago, and other Caribbean indigenous people, as pre-Columbian inhabitants of the U.S. Virgins Islands. Several sites across the territory have been found to contain remnants of their presence, including Market Square, Tutu Park, and Magens Bay on St. Thomas; Cinnamon Bay and Reef Bay on St. John; and Salt River Bay on St. Croix. 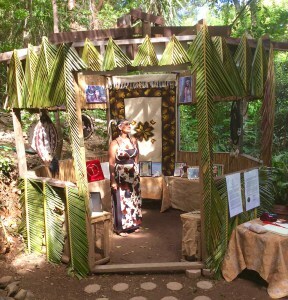 “Protecting and preserving our sacred Amerindian sites of memory, while spreading awareness of our history, is one way to provide unique experiences while boosting our economy,” Jackson said. The bill (Bill 31-0303) would create a registry of those with Taino and Native American ancestry and protect and promote pre-Columbian sites at Magens Bay on St. Thomas and Salt River on St. Croix. It would also require the Department of Planning and Natural Resources to declare Magens Bay a “pre-historic Amerindian Site of Memory” and to request UNESCO declare Salt River Bay a World Heritage Site. The bill was held in committee for amendment at a March 8, 2016 hearing. It’s content is similar to a 2014 bill from Jackson that was held in committee for amendment in the previous Legislature.